One of the greatest aspects of the Leeds business community is our collaborative nature and willingness to promote and support each other. 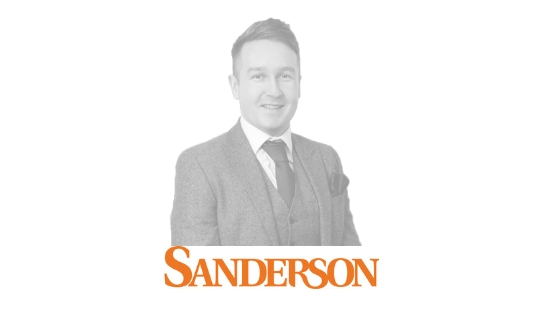 On the topic of supporters, we thought it was due time to sit down with our headline sponsor, Sanderson Recruitment, to find out more about how their company aligns with LightStart and why they decided to collaborate with us! Here’s what Regional Director, Alistair Collier, had to say about sponsorship, working differently and exciting plans for the future. Firstly, why did Sanderson choose to work with LightStart initially? After attending a number of events based in our shared office space at Platform, it was easy to spot that the topics and attendees of the technology & change focused events were hugely relevant to us. It is always our intention to immerse ourselves in local change and technology communities and partnering with Lightstart, it seemed, would afford us that opportunity. After meeting the team it became concrete in my mind that we must work together. The Lightstart team are enthusiastic and passionate about their trade and I love that! What do you enjoy about the LightStart events you’ve attended so far? I love the inclusiveness of the events. There is no hidden agenda, nor is there a bias to the content which makes for a community feel. Tech and Change professionals can meet, engage and network without the pressures of being sold too! The free booze also helps! We often host events and training workshops around working differently in business. We know Sanderson are a company known for recruiting differently – could you tell us more about this? How do you approach individual clients and customer needs? Our approach is pretty simple, we deliver solutions that are fit for each individual client. We offer a contingent model, where we can supply technology & change professionals on a permanent or contract basis, similar to other agencies, but also far more. We have a tailored subscription based outsourcing model aimed at start & scale up businesses, we also have a full managed service offering where business can outsource all of their recruitment needs. On top of this we also have a consultancy model where businesses can provide a statement of work and we will take full obligation to deliver. In short, we are confident we can support any business in a cost effective, relationship driven approach to their recruitment. Do you have any plans to bring in new working strategies to the business in the future? Yes! We will always evolve with what the market demands. IR35 has started to throw some interesting conversations in to the pot, and will need us to pop our thinking caps on. Internally we will continue to be advocates of flexible working and informality. With our current growth, who knows what ideas our staff will come up with to work differently in the future. What do you think’s been the most valuable aspect of working with LightStart so far? Lightstart have provided us, as a start-up office, the opportunity to meet and engage the Leeds tech and change community. They have helped us gain understanding of the nuances of the City and what makes people tick. It’s all about people and partnering with such an amazing brand has worked wonders for us. Thank you to Alistair for taking the time to chat to us! Sanderson is a specialist IT, Digital and Business Change/Transformation recruitment company with offices across the UK and Ireland. They boast an impressive portfolio of long-term candidate and client relationships in West Yorkshire. Needless to say, we have absolutely no hesitation in recommending them! If you’re interested in joining forces with us and becoming an event sponsor – getting your brand seen in front of 500+ Leeds business professionals every single month – then chat to us today. We’d love to hear from you. Email us at ideas@lightstart.co.uk.